Indianapolis, Indiana – Plaintiff Richard Bell of McCordsville, Indiana, a copyright lawyer and professional photographer, sued Defendant Hornberger Imports, Inc. of Beech Grove, Indiana in the Southern District of Indiana for copyright infringement. 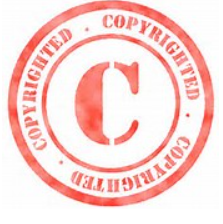 In addition to copyright infringement, a claim of unfair competition is included. Bell seeks injunctive relief along with statutory damages, costs and attorney fees. Practice Tip #1: Hornberger Imports appears to have ceased operations in February 2015. The case was assigned to Judge Sarah Evans Barker and Magistrate Judge Debra McVicker Lynch in the Southern District of Indiana and assigned Case No. 1:16-cv-02501-SEB-DML.